Blogs I’m Following & Reviews! My goal is not only to inspire others through my Blog, but I want to encourage others to experience amazing Bloggers out there like YOU!!! With all the different areas of interest it can be overwhelming and harder to decide what to read. Hope you enjoy! I recently started following Charli on Twitter a short time ago and she gave me this amazing opportunity to review her Blog. I am so thankful I did. Charli describes an episode she watched called “America’s Busiest Coroners”. She goes through and explains how the coroners point out everyone who dies ends up in this one room. (The morgue). Doesn’t matter who you are, how rich or poor. “It doesn’t matter what happens after you die.”, was my father’s response. “What matters is what you do during your life while you’re alive”. This was a very heartfelt Blog for me today. It really takes you back to look at where you are and where you want to be in life. Blogs like this are life changers in my opinion and Charli nailed it. Absolutely fantastic! 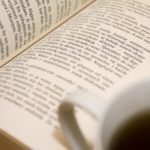 Sarah did an amazing job with the layout of her Blog for Book Reviews. It reminds me of the synopse of the back of a book. The title is posted clearly and when you hover over the book a snip-it review appears. I quickly chose a book review on one I had read last year to compare. How To Win Friends and Influence People. This review is excellent. It is right on the nose with the details described without giving away too much. I also learned there is the “digital age”, the second version of this book that I was unaware existed. Sarah is fantastic at writing the reviews & by a few other glances I can assure you the other reviews look just as top notch as the rest. If you are looking for a great book review, this is a great place to look. First, I need to mention I despise cooking, so a huge shout out to Segilola for not only making this dish but posting how she accomplished it! Right away I love to see Segilola is willing to take a risk by baking something she had not attempted before. Reading how this recipe was done, she compares the differences in techniques that are usually recommended vs what she did and even describes the end results. I find normal recipes don’t usually tell you the outcome of trial and error, so I found this was a great touch to the post. 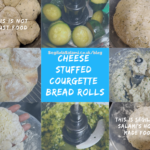 One of my favourite parts of this Blog is while she is describing the steps, her daughter had run into the room while she was making the bread and she made the decision to skip a step to speed up the process. (This is 100% something I would do) Another great touch I personally have never seen before is she posted her Amazon Affiliate Links to the ingredients she used right on the page! When it comes to cooking and kids, easy access like this is highly desired. Though this is not something I would personally bake, because again I’m not into baking, I would not be opposed to trying this dish is someone else made it for me~ Great Job Segilola ~ Fantastic Read!!! Sadness is a red flag she notes. She does such an amazing job explaining how important our emotions are. We need to recognize the negative emotions we experience and use her simple steps to acknowledge and reroute our thoughts. She provides easy steps we can implement in our life to generate positive thoughts. I love blogs like hers that have such an impact in such a few paragraphs. 100% worth your time to read. Could make a huge impact in your life too! Website: My Blog, Coffee And Camera! Absolutely stunning layout to her blog posts! I chose this particular blog because I as well have been curious about becoming a minimalist and not sure if it’s really for me or where I would start. She desired the minimalism lifestyle and it started from wanting to declutter her life. 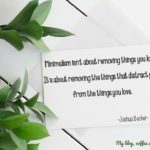 I love how her post explains the difference between decluttering and minimalism as there is a big difference. Her words are extremely powerful and she describes what values we can bring back into our lives by having less! My favourite point she makes is how we spend less money when we embrace life as a minimalist and that means more money for travel and other things that are more important. Such a fantastic read, short and simple! 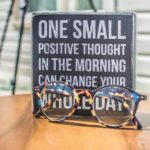 One of my favourite Blogs are those that set out their goals for the year. Kelly has a goal to stop spending so much money, but the girl has a passion for shoes!!! I also love shoes and know this will be a challenge. Good for you girl! Her other goals are amazing related to self care, which is something we don’t usually put as a goal. These are great references. I love how she wants this post to reflect back on so she can see what she has accomplished. I would LOVE to see a 2020 Results Blog! Keep us posted Kelly! 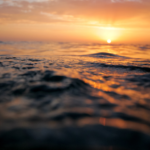 Jo Anne writes of the blissful feeling and leaving everything behind. Her experience of travel by flight is as though it could cure any issues you are having – it took me to what felt like a novel scene where for a few hours, nothing else matters. Complete contentment – No worries and completely relaxed. I personally envy Jo Anne’s ability to feel so free. I have only travelled once by flight and I felt anxious and didn’t enjoy it one bit. Hopefully, we can all accomplish the “zen” Jo Anne is able to capture every time she travels. Amazing read! 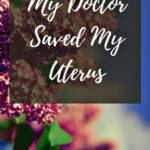 A young SAHM who talks about her experience with her previous doctor. “I will swoop in like Batman to save the day” she quotes for anyone that is thinking something just isn’t right or is having issues with her current physician. 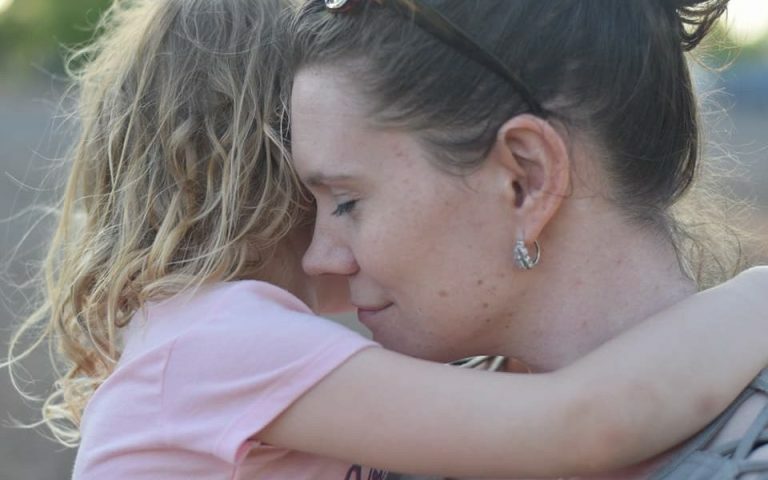 Her devotion to help others is amazing and her blog makes it feel like we are her childrent. She wants to protect anyone from ever going through the same experience as she did. It’s short and a simple read, but honestly, I wanted to read more! 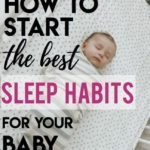 In this particular Blog, she goes through a variety of steps you can take to ensure great sleeping habits from not letting them fall asleep eating, putting them down dozy and not asleep, putting them in a crib as often as you can, understanding their cues, positive vs negative sleep associations to help you accomplish a successful routine, and more. She even took the time to link the positive associations that she highly recommends that contain links directly for purchase! Click & Purchase! Anyway to make parenting easier is a win-win in my book! My favourite part of her Blog is she also goes into details on HOW TO implement these techniques with examples. 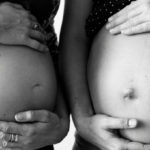 As I was due for Baby #3 Feb 10, 2019, I am also eager to continue following her blog as it relates so much to mothers/parents for help with so many questions we always seem to have. One-Stop-Shop in my opinion for great information on your daily struggles to be answered! Loved your material Marissa! I can really relate to this blog as Karlie mentions she once went though a miscarriage. She wonders if she could of handled two children under 2 years old. 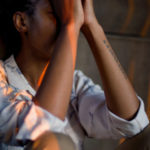 When my first born was only 5 months old, I found out I was also pregnant and had a miscarriage at three months; including 2 other miscarriages. I understand the heart break one goes though after such a loss and even a feeling of, |”Did I do something wrong?” But despite this loss, she pushed and keep moving forward. Karlie also mentions how in today’s time a lot of us feel pressured to “live up to the standards” of other women. We compare ourselves with what they have and this has put us in a position where we post about our experiences. I agree that a lot of us post to social media not only for validation, but there is a euphoric nature that comes alone with seeing likes, comments, and positive feedback. One thing that really hit home for me was also how she mentions we get pressure from friends and family members. It can be questions like when you are getting married, having a child, or more kids, etc. As humans we are under an enormous amount of pressure. But regardless, we keep going, as does she, and we understand the path designed for us and keep moving forward! Fantastic Read! 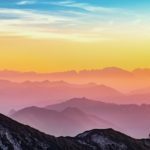 As a new Blogger myself, I knew I wanted to Blog, but didn’t really know where I wanted to take it or how I would get there. Lauren does an amazing job setting up 5 simple and attainable goals for this year. Indicating the amount of times she would like to post, how many likes she wants to achieve, and even going outside the box to collaborate with another Blogger. 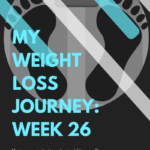 I loved reading this particular Blog as it’s right to the point, great layout, and it’s something all new Bloggers can do for themselves to ensure they meet goals. To see more of Lauren Mai’s Blogs, feel free to visit her full website HERE. Especially with Valentine’s Day just around the corner, I felt this was a great Blog to share. Whether you just don’t have the time, don’t have the money, or you just want that day to have a more sentimental touch, this Blog is for you! Lana goes into 7 Simple ideas on how to make your loved one feel special. In my opinion, by going back old school. Simple things like sending love notes, making mixed taps, allowing a day off for your partner or friend. 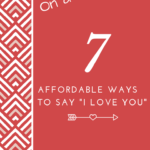 These 7 great ideas are perfect and allow you to stay on Budget! Who wouldn’t want to do that? it. Target the proper niches of your category.